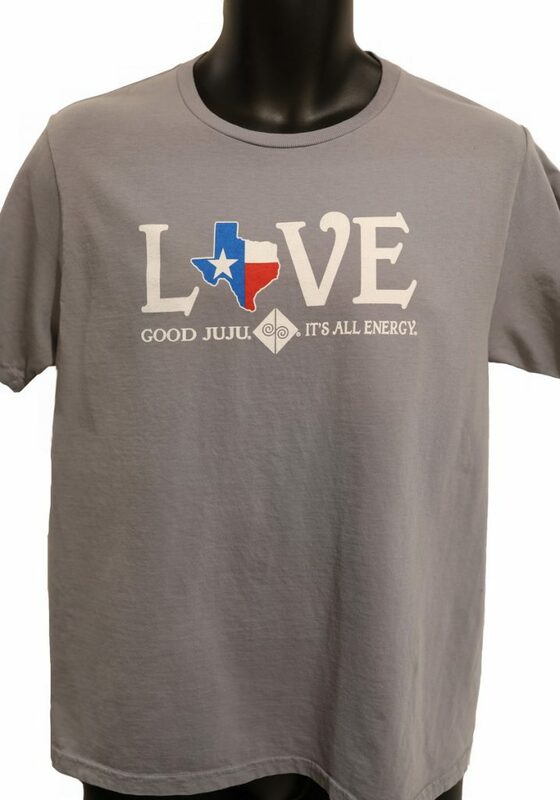 Our, “Texas Love” 100% gray cotton unisex tee is perfect for you! 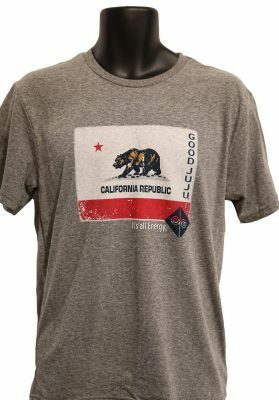 Enjoy this comfortable tee while looking sporty. 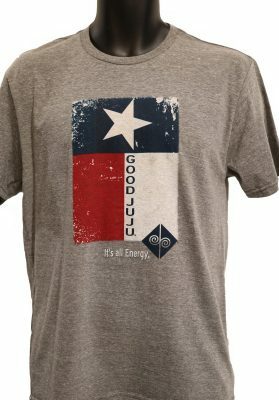 This shirt is fantastic for you and it makes a great gift for anyone who Loves Texas! 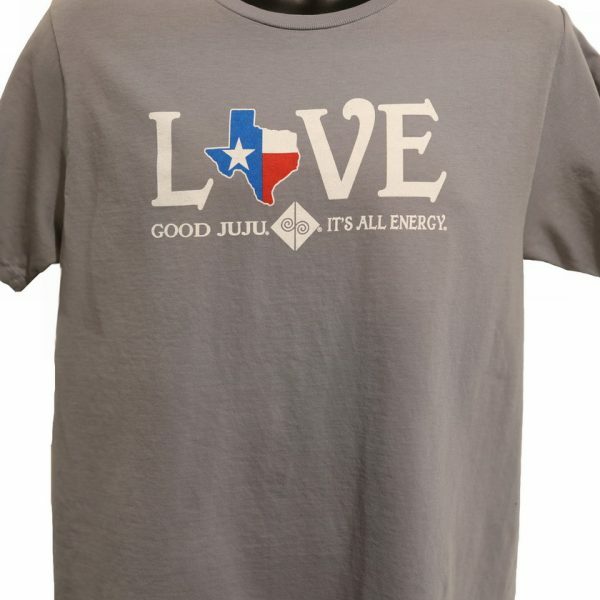 LOGO DESIGN: Love with the state of Texas as the vowel. 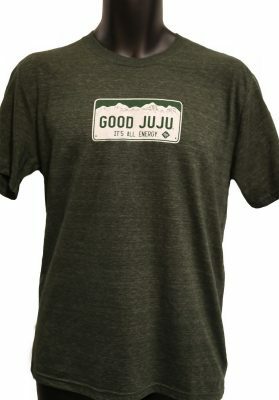 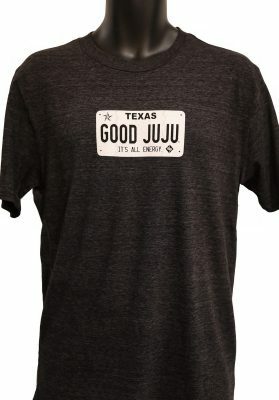 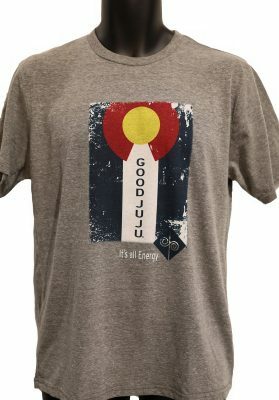 Good Juju, logo, It’s all energy.